The industry-leading manufacturer of tension fabric buildings offers American-made structures with in-house engineering, manufacturing, financing and installation. 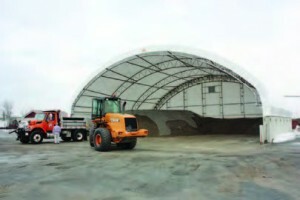 These structures provide energy-efficient, economical solutions for a variety of municipal needs including waste management, equipment and materials storage, warehousing and more. ClearSpan Hercules Truss Arch Buildings feature abundant natural light and spacious interiors without support posts to hamper operations.